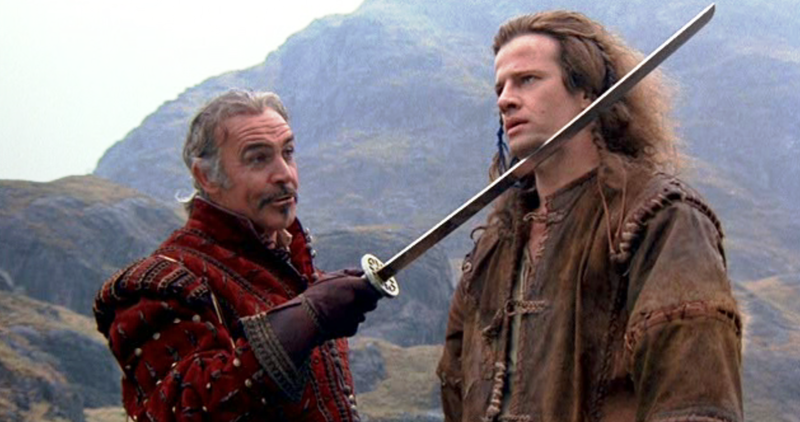 Growing up as a massive fan of the cult classic movie Highlander, and in the spirit of Dustin Kirkland’s recent blog post on Ubuntu and LinuxONE, I am inspired to use Highlander as a theme for this blog on the case for LinuxONE and Blockchain, and why in my humble opinion there can be only ONE server that can lay claim to being the only server built from the ground up to run Blockchain. As Blockchain becomes the latest hot tech disruptive technology, lots of vendors will be starting to dust off existing models in there range and freshening up their marketecture presentations and positioning their generic offerings as ‘designed for Blockchain’. Whilst this is understandable and completely understood, it makes it hard for the average VP of Infrastructure to see the woods from the trees. Some might even go further and quote Sean Connery’s character in the movie, Ramirez, and say that this approach is “Crude and slow, clansman. Your attack was no better than that of a clumsy child” (they are going to get worse so get used to it). If Blockchain was limited to only disrupting the Finance sector that would make it interesting but not transformative, however this technology will disrupt every sector, from how you buy a car, to how you track whether you tomatoes are organic or not, to how you buy your house. So lets drill down on why LinuxONE is the only server who can survive the ‘Gathering’ and lay claim to being the ONE…. LinuxONE has the fastest commercially available processor, 10TB of memory, 960Gb of cache spread across 4 Layers, and a dedicated I/O Subsystem. Blah blah I hear you shout.. or again another Ramirez quote “the sharpest blade is not enough…” why does the matter, well if Blockchain is going to disrupt the very fabric of how business is conducted it will be called upon a lot, and by many business processes, so it intends to perform and lightening fast. If Blockchain fulfills its promise to be come a fundamental building block (excuse the pun) in how business gets transacted then that business will be 24x7x365 in nature it won’t allow for 99.9% availability, downtime or scheduled outages. Blockchain will need to never fail. LinuxONE is the only server built for 100% uptime over decades. With no single point of failure, active/active multi-site clustering, RAID memory and a system that gets frozen, hacked at and earthquake tested LinuxONE delivers on the 24x7x365 challenge. As blockchain supported transaction, go from being in the lab to the mainstream and supporting multiple business processes, the number of users, deals, contracts and transactions will grow exponentially. This scale will stress existing system architectures. Therefore what is needed is a server level infrastructure built from the ground up to handle scale, whether thats I/O and transaction scale or processing scale. LinuxONE can handle over 30Bn RESTful we interactions in a day and over 1m Docker container so scale is part of its DNA. Probably the most vital element in a Blockchain deployment is security. LinuxONE has elliptical curve encryption technology built in and crypto cards. This means the hashing algorithms that underpin Blockchain run faster. LinuxONE also has workload isolation capabilities designed to keep works secure. In fact the new Emperor and Rockhopper systems has zACI technology that ensures the highest levels of isolation and ensures privileged users can’t tamper with Blockchain code. So based on these four criteria LinuxONE is the only server – there can be only ONE. If you want more detail on LinuxONE then suggest you look here.